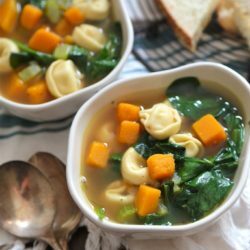 This post is sponsored for One2One Network on behalf of ACH Food. I am partnering with them as a Become a Better Baker Blog Ambassador. One of the things I love doing is baking bread, which, admittedly, doesn’t happen nearly as much as I would like. More often than not, it’s not the actual baking that takes me the most time. It’s picking out what kind of bread I want to make that takes forever. 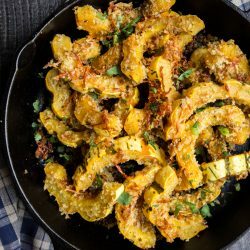 I’m about as indecisive as you can get when it comes to carbs – because I love them all! Summer is here, and I’m dreaming of a day at the ballpark watching a game with the crowds and a soft pretzel in hand. With my husband’s study schedule (even in summer) trucking right on along, we’ll stop at the local ballpark during our daily walk with the dog for a little break to enjoy the fresh air. There are ball games going on nearly daily, so we stop and watch for a few minutes to take it all in. Those games always take me back to my fast pitch days: playing in the grass and dirt, the cheers of my friends and family in the stands and sun in my eyes. And they always leave me craving soft and salty pretzels. But somehow, someway, I’ve never gotten around to making them before! 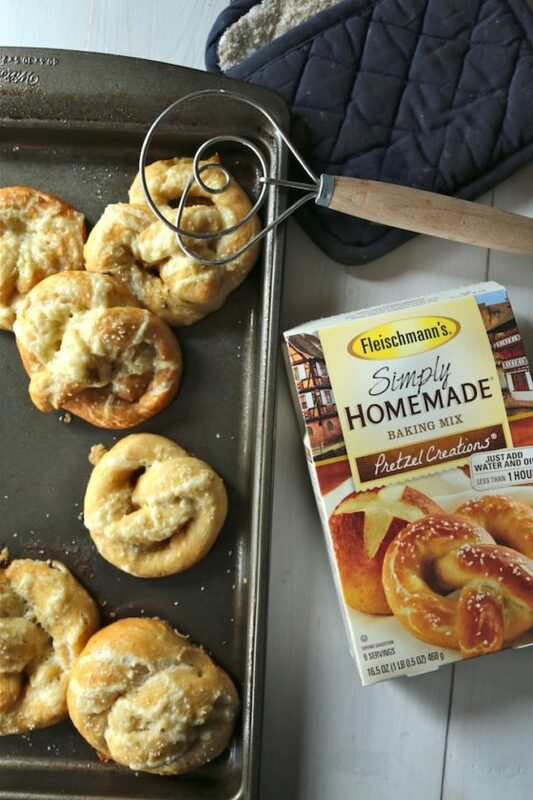 Fleischmann’s® Simply Homemade® Pretzel Creations™ simplified the baking process and helped satisfy the cravings I had. If you’re new to yeast breads, this mix takes all of the guesswork out of baking. And one of the other things I loved were the little ideas listed on the back, like the pretzel wrapped hot dogs! You know how much I love hot dogs – this is right up my alley. But the ball park pretzel was calling my name, and I dressed mine up this time around with roasted chilies and sharp white cheddar cheese baked right on top. Easy peasy! Have any plans for Father’s Day? 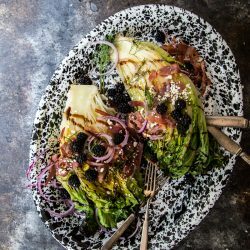 This delicious recipe would surely please all the Superdads out there. You can’t go wrong with a thoughtful and tasty gift that’s packed with flavor. These pretzels are simple to make, but don’t worry—I won’t tell. Take all the credit! Fleischmann’s® Simply Homemade® mixes don’t stop with pretzels. Take a peek at their many varieties and see what other combinations you can come up with! Combine pretzel mix and yeast in a large mixing bowl. Stir in water, corn oil and diced green chilies until thoroughly combined, using hands to knead if necessary. Place dough on a clean, dry surface and divide into 9 equal pieces. Cover with a towel to prevent dough from drying. Using your hands roll each piece into an 18-inch rope. Make a U shape with the dough; cross left end over right end; repeat crossing and bring ends to bottom of pretzel and pressing in to the dough to secure them. 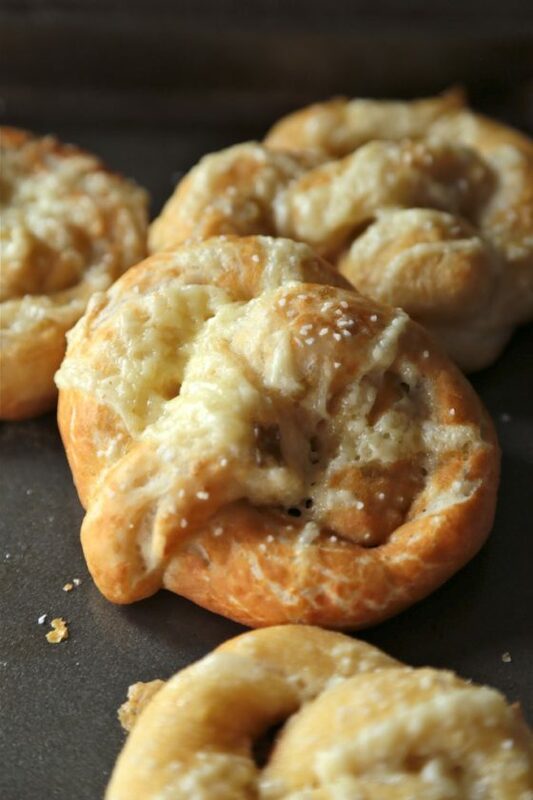 Cover formed pretzels with a towel. Preheat oven to 400°F. Spray a large baking sheet with cooking spray. Combine 6 cups water with baking soda in a large deep saucepan until water boils. The water will foam briefly when the baking soda is added, but will subside. Using a slotted spoon or spatula, dip one pretzel at a time into the boiling water allowing pretzel to slide off spoon into the water. Boil for 10 to 15 seconds, then remove the pretzel and place on baking sheet. Note: excess foaming may occur due to the acidity of the peppers. This is normal. Continue with remaining pretzels. Sprinkle each pretzel with pretzel salt. 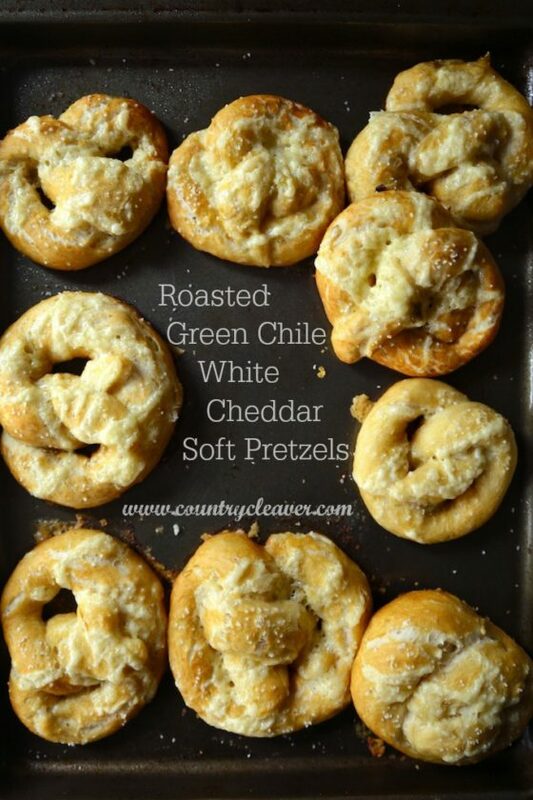 Top each pretzel with shredded white cheddar cheese. Bake for 12 to 15 minutes or until golden brown and the cheese is golden and bubbly. Let cool on wire rack. My husband and daughters are mega soft pretzel fans. Whenever they see them on a menu, it’s pretty much a must-order. These look awesome, Megan! I would be in heaven with these pretzels! Need to whip some up asap! Love me some pretzels!!! 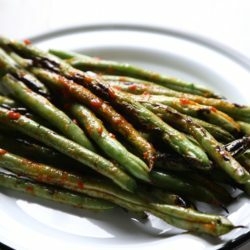 The flavor of these are phenom!! I love the flavor combo you have in these pretzels!! Haha, I hear you, I also love all the carbs. 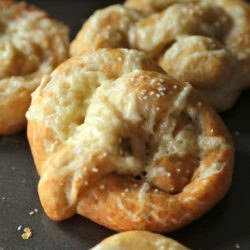 Although, I do have to say, soft pretzels are pretty high up there, especially when they’re all cheesy and fancy like these!